I'm working on Guinevere in the book Wrapped in Crochet. 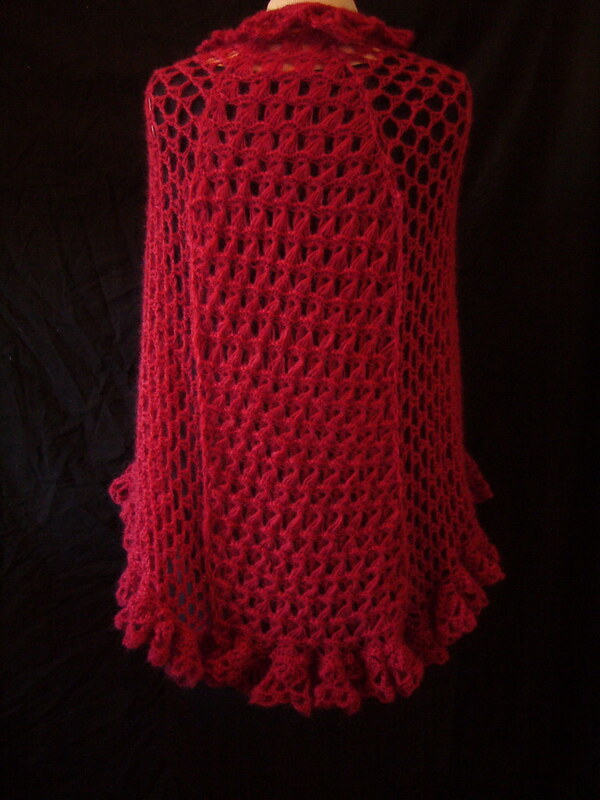 The shawl's back panel is done in brookstick lace. Now I'm a fairly accomplished crocheter but after working on the first row I now have a tangled mess. Something tells me that mohair and broomstick lace are not a good combination. I'd ditch this altogether but I decided to work on the side panels first and save the back panels to last. I was able to do one side panel in an evening it moved along so quickly. Can anyone give me some ideas on the best way to work with this stitch? If it continues to frustrate me, I'll have to make the back panel with another stitch although I think it really makes the shawl. What is the problem? Are you having trouble with the loops coming off the needle? Or is the joining of the loops? Without the pattern instructions it is hard to advise you.